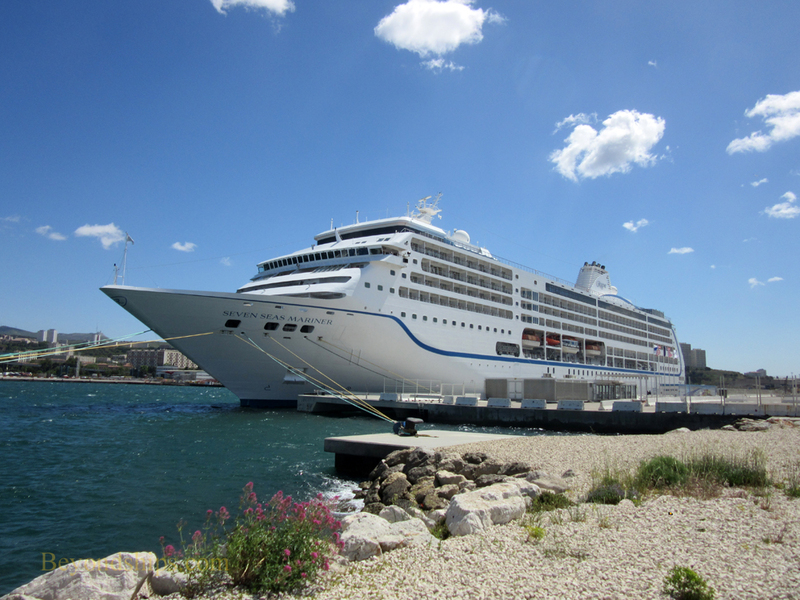 The Marseille Provence Cruise Center (MPCC). 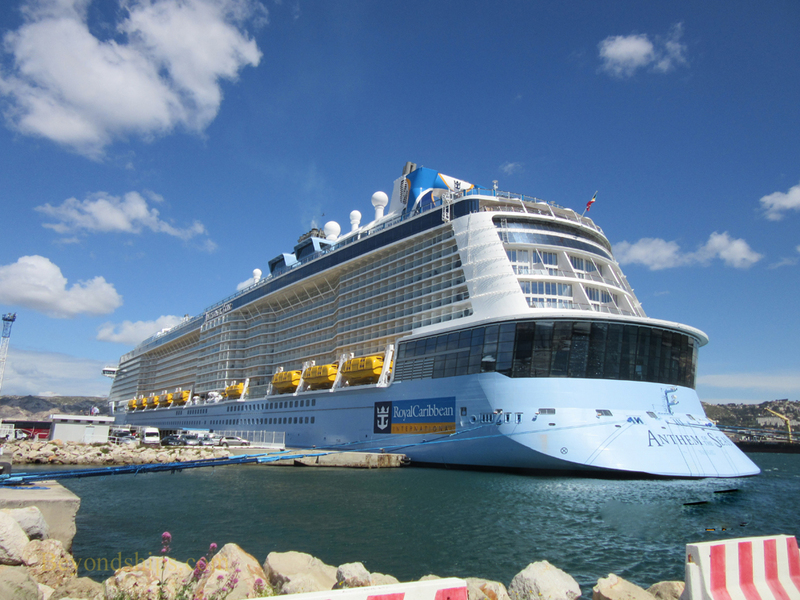 France's main cruise port, Marseille hosted 1.5 million cruise ship visitors in 2015. That number is expected to increase. 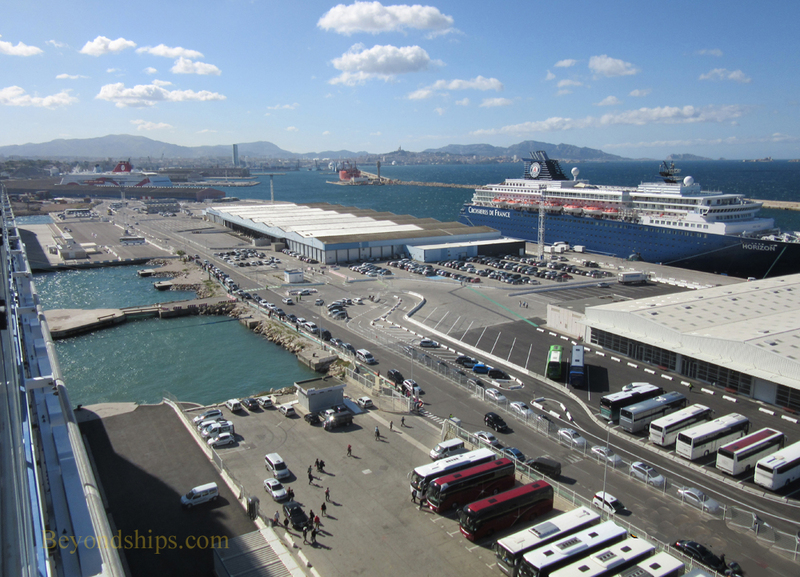 Marseille has two cruise ports. The J4 (Jolette) Terminal is close to the city center and is within walking distance of the Old Port as well as various museums and other attractions. However, it only handles relatively small cruise ships. 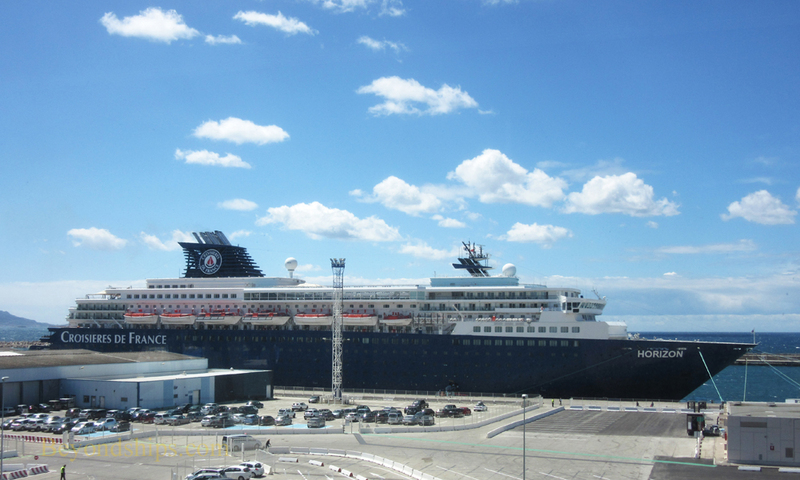 Most cruise ships dock at the MPCC (Marseille Provence Cruise Center) also called Mole Leon Gourret). It is a man-made harbor about five miles north of the city center in a rather stark industrial area. 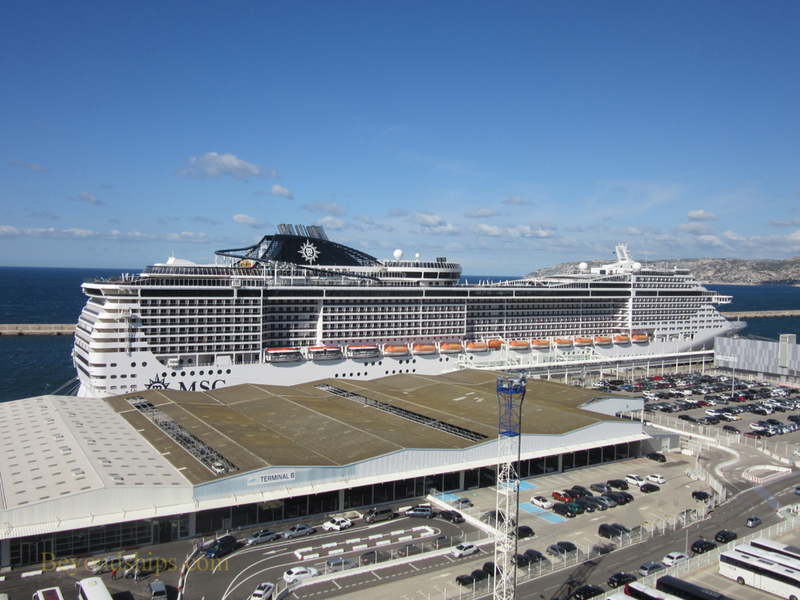 The port is capable of handling six large cruise ships simultaneously. Several of the berths are served by cruise terminal buildings. The MPCC is not within walking distance of Marseille's attractions. In addition, it is located along a busy stretch of highway. Therefore, you need some sort of transportation to get around. Taxis are often available at the cruise port. Also a public bus (number 35) runs from outside Gate 4 into the city center. However, it is a considerable walk from the berths to the gate. 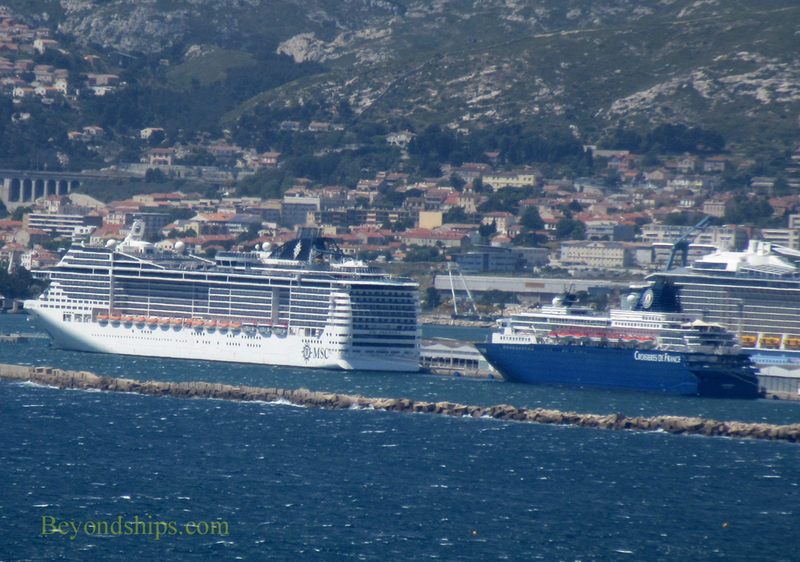 Some, but not all, ships provide shuttle buses into Marseille in addition to their shore excursion tours. The port also runs a shuttle bus on certain days. ​MPCC is an embarkation port as well as a port of call. Above: MSC Preziosa at the MCPP..
Below: A seawall shelters the ships at The MPCC.